FIRST EDITION. 8vo, pp. 222. 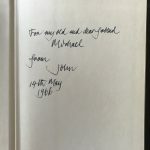 Inscribed by the author on front endpaper: “For my old and dear friend / Michael / from / John / 14th May / 1966”. 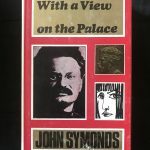 Red buckram with original dust jacket, slightly damaged at base of front. Excellent condition.